What Makes Good Subcontractor Management Software? Efficient management of your subcontracted workforce can be the difference between success and failure on your construction site. The key to a good management system is recognising which administrative processes, specific to your construction company, can be streamlined in order to improve workflow efficiency, and protected as they make you unique. Failure to effectively manage your subcontractors can lead to lost day work sheets, unhappy site managers and potential labour issues. What is subcontractor management software? Broadly speaking, it’s a management system with a framework of processes and procedures to help construction companies manage their sites, plots and subcontractors. A process is a set of activities necessary to transform an input into an output, whilst a procedure is how those processes are carried out. For example, alerting subcontractors to a site shutdown due to inclement weather could be a potentially unique procedure for your construction company. The processes involved would be: 1) accessing the communications module in your management system, 2) selecting the relevant recipients, 3) composing the message, and 4) sending out SMS. The more generic processes can be handled by off-the-shelf packages, whilst procedures unique to your construction company would require bespoke software built to your exacting requirements and how you operate. As most construction companies will know, it can be difficult to change the attitudes and processes of a tradesperson. However, an intuitive, simple interface makes it easy for subcontractors to book into the right plot, for the right site, for the right work. 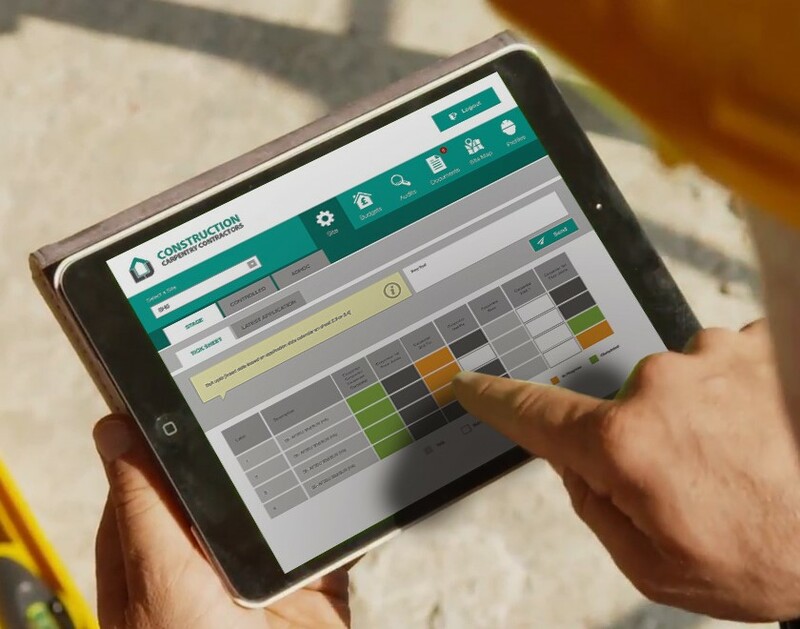 With the majority of subcontractors now owning a smartphone, a mobile optimised interface is a must so that your management system can be easily accessed while on site. A management system can provide a clear understanding of activity on sites, whether it’s seeing how many subcontractors are booking in, how much day work debt there is for one contractor, or ensuring applications are sent on time. Furthermore a bespoke management system can have custom-built reports that will help you monitor exactly what you want to, which wouldn’t be possible with an off-the-shelf system. Working with a bespoke software supplier for your subcontractor management software provides your construction company with a long-term partner that knows your industry, and understands how you operate. That partnership can be developed by choosing a supplier that speaks your language and builds a bespoke management system tailored to your processes and procedures. Paying your subcontractors can be a complex task, especially if day work sheets have gone missing and you have a strict two week deadline with your main contractor. A good management system allows subcontractors to upload their day work sheets (with photos for digital copies) to simplify your day work applications and reduce your debt exposure, in addition to ensuring subcontractors are paid correctly and on time. Failing to check whether your subcontractors are qualified to complete the work is vitally important, and expired accreditations and certifications could lead to financial penalty and/or legal action. Keeping on top of your certifications can help your construction company stay legal, maximise your labour and prevent potential labour issues. Every construction company strives for consistent, quality workmanship, however health and safety is absolutely essential. Many main contractors have unique specifications and requirements to reduce costs whilst not reducing quality. Ensuring subcontractors have easy access to, and complete, the necessary training can boost your health and safety record and reduce NHBC liability. Manually creating default procedures and specifications for multiple main contractors is inefficient, without the use of bespoke software. The ability to automate and easily update documents relevant to any specific main contractor is a process that a good management system should be able to provide for your construction company. A big concern for construction companies with a subcontracted workforce is ensuring high quality workmanship, as substandard work can damage credibility and increases customer care. A management system can help keep track of project progress, log any issues and ensure your subcontractors meet your high standards. A management system can provide an easy-to-use, functional solution to significantly improve your construction company’s forecasting, financial planning and reporting capabilities. With subcontractors completing timesheets on site via a tablet device, you can forecast project completion with detailed insight. Whether its site alerts, weather warnings or adhoc messages, a good management system can keep your subcontractors up to date via SMS or email. Good communication is vital for effectively managing your subcontractors and, with 90% of text messages being read within the first three minutes, SMS is a really useful method to do so. We design and build intuitive bespoke software to your exacting requirements, streamlining administration processes that improve business performance. Our web-based solutions provide an easy-to-use platform that improve process efficiency and effectiveness to increase your competitive advantage. If your construction company is looking for better ways to manage your subcontractors, get in touch with our specialist team today.